Thanks to China’s efforts in poverty alleviation, Liangshan Yi Autonomous Prefecture in southwest China’s Sichuan province is gradually shaking off poverty and embracing a brighter future. 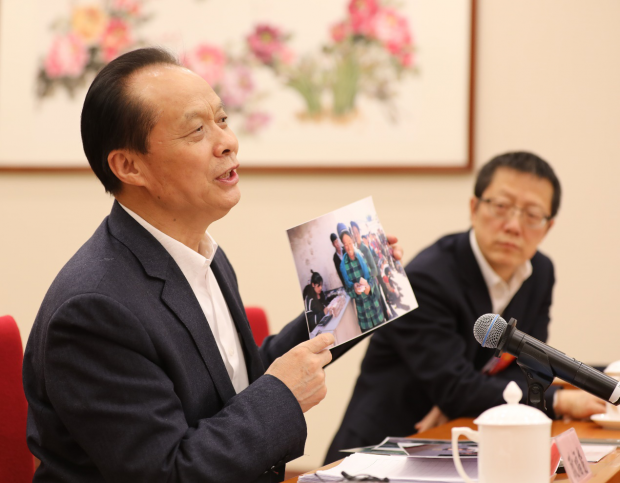 Ge Fu’neng, deputy to the 13th National People’s Congress (NPC) well elaborated on the improved livelihood of the people there by sharing a photo and the story behind it at a panel discussion of Sichuan province. 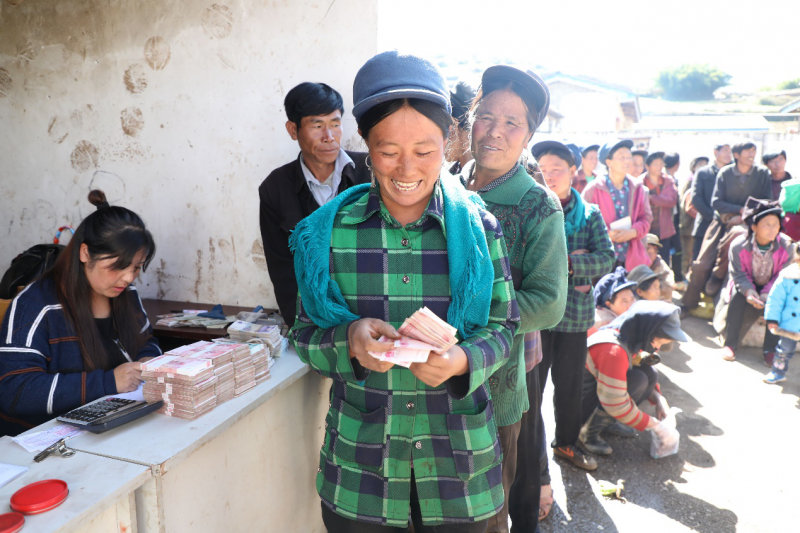 In the photo, residents of Huodeng village, Le’an township, Butuo county of Liangshan Yi Autonomous Prefecture are counting money they have earned by planting herbal medicines. “I was born in an impoverished village of Daliang Mountain, and I know deeply the hardships my fellow villagers are going through,” Ge said. Thanks to the herbal medicine industry, Butuo county has lifted 1,216 impoverished households out of poverty, increasing the annual income of the villagers to over 8,000 yuan ($1,192) from hundreds of yuan, he introduced. Liangshan Yi Autonomous Prefecture is one of the 14 contiguous poverty-stricken areas of China, and also one of the major areas for the country to carry out poverty eradication campaigns. The poverty-stricken region, as well as the 5.3 million people from all ethnic groups living there, are always a concern for Xi Jinping, General Secretary of the Central Committee of the Communist Party of China (CPC). He visited Liangshan before the Spring Festival in 2018 to inspect poverty alleviation work, and specifically mentioned two families from Sanhe village, Zhaojue county of Liangshan in his 2019 New Year speech. The eyes of a deputy named Xu Ping brimmed with tears as Ge unfolded the story. Xu is a college graduate who survived the devastating earthquake in Sichuan. It was the government’s favorable policies that enabled the post-95 girl to go to college. Education is able to stop the intergenerational cycle of poverty, and it has played a vital role in Liangshan’s poverty elimination work. The local government opened a kindergarten for each village, helping pre-school children learn mandarin to guarantee free communication. To date, the enrolment rates of primary and secondary schools in 11 impoverished counties of Liangshan have respectively reached 99.6 percent and 97 percent. Over the past three years, the CPC Sichuan Provincial Committee made special policies to help Liangshan, investing over 20 billion yuan of fiscal revenue in poverty alleviation, and sending 11 work teams and over 5,700 cadres to the region. The current incidence of poverty of Liangshan stands at 7.1 percent, down 12.7 percentage points from 19.8 percent in 2014, according to Suga Erbu, NPC deputy and governor of Liangshan Yi Autonomous Prefecture. In the next two years, the prefecture would lift 317,000 people, 618 villages, and 11 counties out of poverty, Suga added. “All impoverished counties and people will be lifted out of poverty by 2020,” said Lin Shucheng, vice chairman of Sichuan Committee of Chinese People’s Political Consultative Conference and Party chief of Liangshan Yi Autonomous Prefecture. 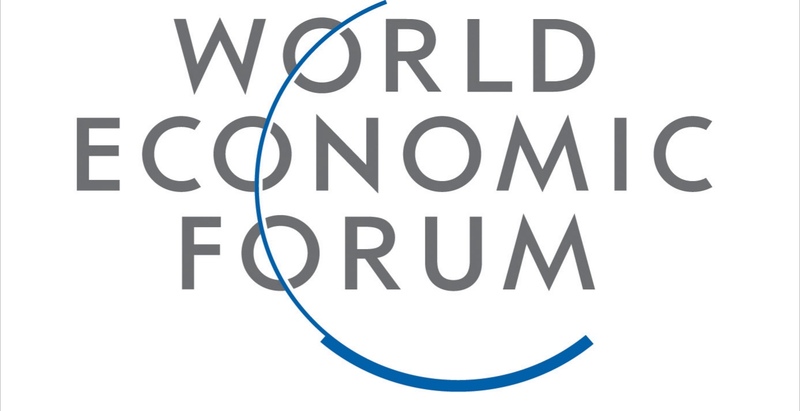 It is introduced that the local government has rolled out multiple measures to support poverty alleviation, such as the incentive to encourage export of labor services, making sure that no one is left behind in poverty reduction.